Aaaand the award for Grossest Comic Book Cover of the Week goes to… I love Jon Davis-Hunt's art. His stuff is really rather extraordinary. This month's cover, though, made me feel a little queasy. Mind you, Marc Slayton is an unnerving kind of guy and a weird alien thing emerging from his mouth is actually not the worst thing we'll see him involved with this issue. We'll have to wait a little while for him, though, because first we get Henry Bendix at his manic best plotting his revenge on IO with a retaliation that is weirdly low-tech in execution but nevertheless impressively devastating. 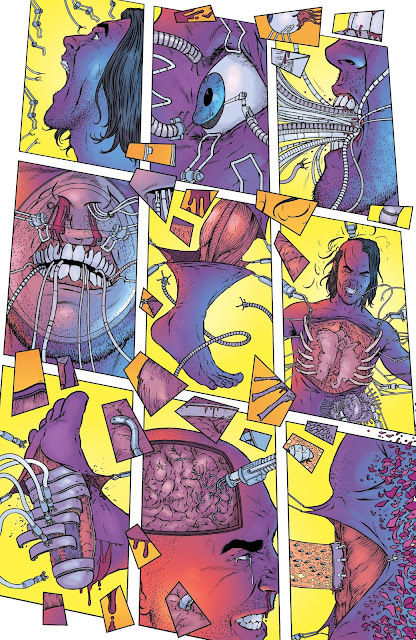 A single page is all we get of Bendix's conversation with Lauren Pennington before we're in alien experimentation hell as Jack Hawksmoor, with the aid of Shen, remembers things he'd probably rather forget. The conversation between Shen, Jenny and Jack that follows is nicely presented – Shen is caring and compassionate; Jack is traumatized and coming to terms with his fresh understanding of what's been done to him. "Is it possible that people from space would need a slave race adapted to living in the ruins of cities after they screwed up the planet?" As well as conveying Jack's horror at his origins perfectly, this also makes the main focus of this series crystal clear. While this is a book about super-powered individuals and covert organizations, its foundation is an alien conspiracy plot that stretches back thousands of years. Mankind – or, at least, select representatives of it – has been used. This is made clearer when we catch up with Marc Slayton who is in a gas station restroom talking to the alien in the mirror. We already know that Slayton is a few rashers of bacon short of a full English breakfast, but this scene presents the nature of his psychosis perfectly. The mishearing of "Khera"/"carer" is a chilling touch, but not as chilling as when the narrative focus shifts to the outside of the gas station and we see the slaughter Slayton has wrought on the people who had been filling up their cars when he arrived. Just why the alien inside him needs "souls" remains unclear, but, like all good psychopaths, Slayton's actions make sense to him and that's what's important. There will, presumably, be a reckoning, but it's one for which we'll have to wait. 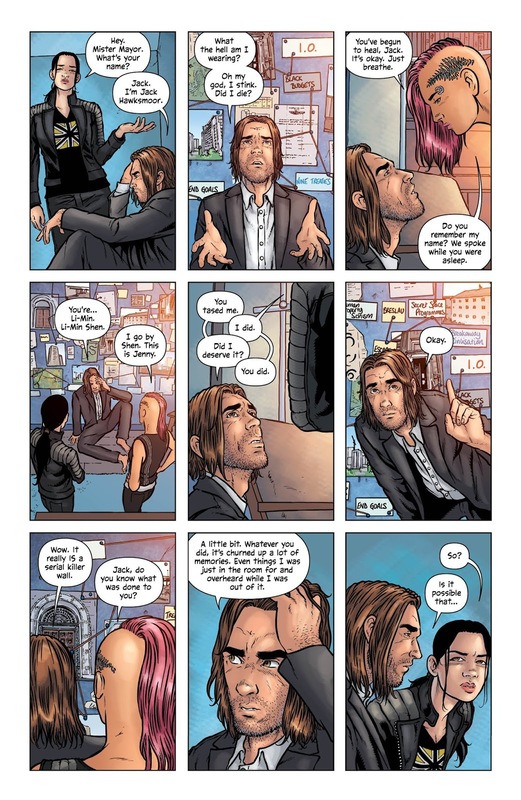 The main scene of this issue is Lynch's meeting with Philip Chang, another Thunderbook subject whose son Percival is (probably) going to turn out to be Grunge in this version of the Wild Storm universe. Chang is a telekinetic and, having been traced by Lynch, is about to kill him by closing down blood vessels in his brain before the limitations of his powers are exposed and Lynch gets the upper hand. Lynch's question ("What's wrong with you people? All you do is reproduce and kill. Why is that?") is an important one in the broader context of the series. It seems that Ellis is setting up the possibility of the Thunderbook's subjects' children being able to break free of their parents' conditions, inheriting their powers but with none of their madness. We shall, as always, have to see how that turns out. The issue ends with Jackie King getting annoyed, and Lucy Blaze and Lauren Pennington having a chat about Blaze's new assignment. Not for the first time, I find myself wondering how all of this is going to come together, but the impression of forward momentum – albeit of a fairly sedate kind – is noticeable. As I've said a number of times already in these reviews, the task Ellis has given himself and his team is to define and populate a coherent universe while, at the same time, telling a compelling story within it. It is slow, deliberate stuff, but there are nevertheless moments that deliver a frisson of horror or excitement or wonder and this series continues to provide those moments on a regular basis. As usual, a significant part of this issue's success is the art. In a comic book which features a range of quite involved dialogue, Davis-Hunt's ability to present nuanced facial expressions is essential. From Hawksmoor's traumatized horror to Slayton's enraptured subservience to Bendix's paranoid mania, there's a subtlety and cleverness to the characters' faces that is tremendously compelling. This issue's main action sequence is different again from the ones in previous issues. John Lynch's barroom confrontation with Chang is all about the gradual deterioration of Chang's psychic control and, after the somewhat gentler approach he adopted in the last issue, a confirmation that Lynch's reputation as a hard man is entirely deserved. Davis-Hunt's tightening of focus at key points is integral to the building tension, which in turn is emphasized by the understated psychedelic colors. Overall, this is another excellent issue. 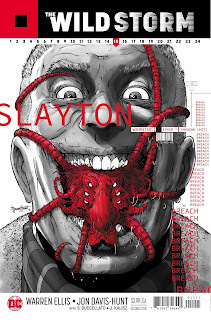 While it could be argued that the overall plot is continuing to move at too slow a pace, the wealth of detail, the slow fleshing out of the Wild Storm universe and the extremely engaging depictions of its characters all make this a high-quality book worth savoring. The revelations about Jack Hawksmoor's origin and the insight into Project Thunderbook mean there's much to ponder here. 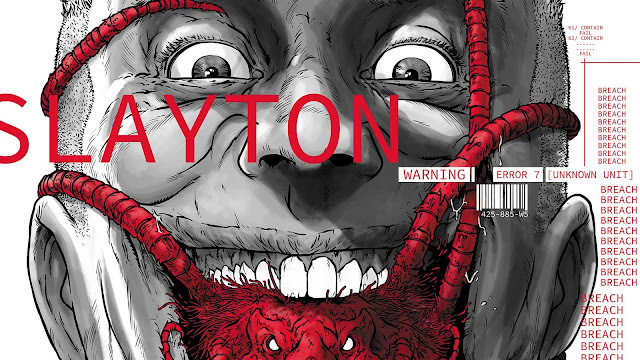 With a typically stylish action sequence and a troubling glimpse into what's going on in Marc 'Backlash' Slayton's head, this is an issue that left this reviewer eager for more. I love reading your reviews of each issue. They're lengthly and giving of the credit that this awesome series deserves. My favorite issues so far are Chapters 6, 7, 12, 13, and 9. Here we have the escalating of the irony. As previously said by Bendix, Skywatch has not yet made contact with alien life forms (but IO did in the Thunderbook project), even though this is one of the agency's main prerogatives, but they themselves have abducted humans to do experiments as they did with Jack Hawksmoor, confirming what was in the investigation exposed on the wall of Jenny Sparks as pointed out by Shen. Very good and consistent new origin story for him. Drawing a parallel with the cinema, the duel between Lynch and Chang is a perfect mix between Akira and negotiations in mafia films. I love your reviews of The Wild Storm, it's basically a complementary reading of this very rich series.